Early on a lot of guys were running 3d's. They seem to work really well in practice and the first round. As the track got better and better you could switch to a Suburb (green) in the rear or a bar code. In the front you could run a rib tire or a Scrub. They both seemed to work really good. I personally ran Impacts in the rear and Jen ran Holeshots. We both ran ribs in the front all night. Our cars were pretty good and very drivable. I'll do it when I get into the shop tomorrow. Hey hopper when will the results of last weekends race be posted? Hole shots for buggy. But several guys were running bar codes that were fast. Not sure what fronts, seemed to be all over the place. What tires for buggy and stadium truck? Sweet! Let's get more in this class. It's already the largest class on the West Coast. Let's keep it going guys! Hopefully within a couple weeks MG and I will be running 17.5 with you guys. Hurry up tax return. Lol. Want to thank kraig and hopper for all the hard work they put in on Saturday for running an awesome race!! I had a blast. Still trying to figure it all out, pretty steep learning curve, but loving every minute of it. Can't wait till the 27th, might have a 17.5 B4.2 by then, I gotta get in on that insane race action. 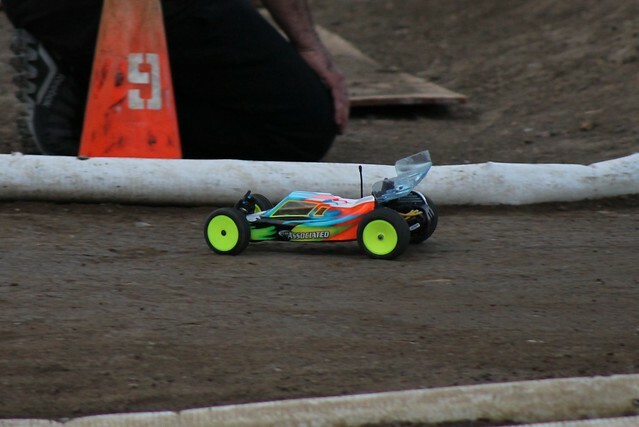 awesome Saturday night with super stacked mod buggy and 17.5 buggy class. Delta crew did an awesome job on the track. It was nice to see some racers from all over Norcal there. Also like to Thank the door family for letting me crash at there place once again. Pretty Epic Saturday Austin Blair missed out. Thanks to everyone for a great race day! Sagisi for rolling with me! Big J got that track blue grooved. Kraig blowing it off every race and Hopper handling business that way it should be handled on the mic! Lavery and Henry for the grub. Read what Hernandez wrote! I agree 100 percent. Thanks again Emard! This guy will go out of his way to help anyone. Looking forward to going back yet again! I will be back this Saturday! Thanks to Delta for putting on a great race at a great facility! Delta RC ran a magnificent show. Hopper thank you for your hospitality. The race had a great club feel and Im sure more racers will catch on to it. Be back soon! Huge thanks to everyone who came out! I had a blast calling all the super close racing action! Its so nice to see all the new faces. Lots of people coming out for the first time and I am glad to hear positive comments. Its not easy running the race program that quick and I'm giving the announcing everything I've got! I hope it makes it more fun for everyone. Remember the series is every other Saturday. This coming Saturday is still a regular club race. We will likely be starting @5pm from now on to try and ensure we finish by 11pm. Sagisi It was nice having you. Sorry I did not find time to come over and say hello in person! Once again thanks to everyone for making Delta what it is! Nice pictures, thank you for posting them. btw hopper you ran a great race program with a really fast program keep up the great work!